As you can imagine, most insurers want to repair your car for as little as possible. designed to steer you to one of their "preferred" auto body shops. There’s a reason you’re being sent there. please read below or watch the video! 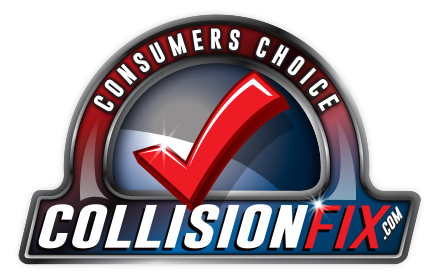 Choose a Collision Fix Certified Body Shop today! FIND A COLLISION FIX AUTO BODY SHOP NOW! AFTER A COLLISION YOU HAVE 3 CHOICES IN GETTING YOUR VEHICLE REPAIRED. Most Insurance preferred body shops or DRP’s as they’re called are required by the insurer to repair your car for as little as possible. This assures the shop that the insurer will continue sending them business. These shops work for the insurer and not you! Take it to one of the big Wall Street owned auto body chains that are forced by corporate, to cut corners on parts and repairs to increase shareholder profits and to keep the major insurers sending business their way. Choosing a CollisionFix Center will ensure your vehicle is repaired to its manufacturers standard using original quality parts and the best repair practices. Check out our locations page to find the CollisionFix Center near you. Why Collision Fix Certified Auto Body Shops? 1. So you know your car is safe! For a body shop to be on an insurers preferred list, many times they ‘re required to use cheap aftermarket, or even junkyard parts. Parts that don’t fit, devalue your vehicle, and can even make it unsafe. However you do have the right to choose a shop of your choosing. 2. Our Collision Centers work for you! As many insurers continue to try and cut the cost of repairs many of their recommended shops feel forced to shortcut repairs in order to increase profits. This is especially true with some of the large Wall Street owned body shop chains. For them it’s all about profit for the CEO’s and shareholders. 3. Our shops accept all insurance. Where as almost any body shop will file a claim to all insurers on the damage of your vehicle, CollisionFix shops work for you! Therefore they don’t have to shortcut repairs and can repair your car to the manufactures standard. In other words when insurers try pushing Body Shops into using imitation or junkyard parts Collision Fix shops fight back as we represent you to the insurer. CollisionFix is dedicated to making your vehicle as safe and good looking, as it was the day it was driven off your dealer’s lot! For the safety of you and your family, choose a Collision Fix Certified Auto Body Shop! If an insurer ask you to go to one of their “Preferred Shops” ... Be aware! These companies may try to steer you to a certain shop by using word tracks like; “You may have to pay more out of pocket” or “We can’t guarantee the repair if you don’t use our shop.” These words and many more are tactics designed to get you to a certain body shop that works for them and not you. This could result in an unsafe repair and a loss in the value of your vehicle. The fact is, insurers don’t make or guarantee repairs. However, Collision Fix repairers back their repairs with a “lifetime Warranty! If you’re involved in a collision, for your safety and your vehicle’s value, think twice before you take your car to a body shop an insurer recommends! Many large insurers want to spend as little as possible to repair your car! Say NO to Cheap Parts! Many well-known insurance companies we see on TV require their chosen preferred body shops to use cheap thin non-original and junkyard parts, all in an effort to save the insurer money! Most Insurance recommended shops are being pushed into these substandard repairs in an effort to keep the insurer happy and sending them more business. 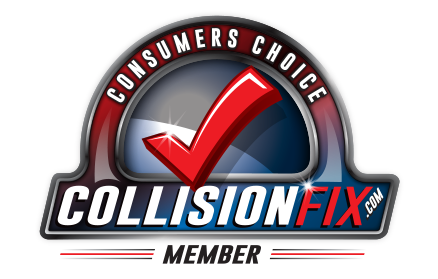 If you are an Auto Body Shop, click here to find out more about being a Collision Fix Member! No matter what yours or the other drivers insurance is telling you. You have the right to choose where to get your repair. Avoiding body shops that cut corners is as simple as clicking on our locations page. Collision Fix members accept all insurance but they don’t work for insurers. They work for the consumer! Are Insurance Programs Helping You? Many Insurance programs that claim to make it easy on you are actually attempts of the insurer to take control of the cost of your repair. No matter what your insurance is telling you do have the right to select a Collision Center of your choosing! When you select a Collision Fix shop your repair will be to the original manufacturers standard.